The Blue Rainbow Hotel is conveniently located in the resort centre of Icmeler, just one street away from the beautiful sandy beach. This is a popular, modern hotel which has a large swimming pool set in attractive gardens, surrounded by sunbathing terraces and has a lovely shady poolside snack bar. Breakfast, lunch and dinner are served open buffet style in the restaurant or on the terraces which are overhung with bright bougainvillea and attractive greenery. Great value for money when you book your all-inclusive stay at the Blue Rainbow Hotel and a home from home relaxed atmosphere. 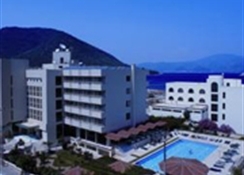 Local Tips: Icmeler has now become a resort in its own right, having once been considered part of the larger neighbouring resort of Marmaris. Icmeler has its own market on a Wednesday, plenty of shopping, bars and restaurants, and just a short dolmus (mini-bus) ride away from Marmaris (8km away) for a wider range of attractions, such as Marmaris Castle Museum, Marmaris Marina, the lively covered bazaar area and bar street, and for a really popular day trip, Dalyan the home of the loggerhead turtles and rocktombs is just over an hour away. Dalaman Airport (DLM) is approximately 100km away. Lots of fun in the sun and a lovely terrace area for family games and relaxation. Food, drink and entertainment: An indoor restaurant, with indoor and outdoor seating by the pool, poolside snack bar, and a TV room. There are many restaurants and bars right outside the hotel and in the resort centre, if you wish to step out for evening entertainment. 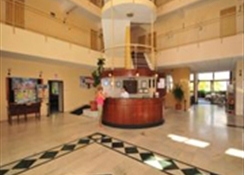 Sport, games and activities: Fresh water swimming pool, pool table, mini golf and watersports are available on the beach. Additional: 24 hr Reception and house-keeping, a lift, safe deposit boxes, money change, fax, e-mail, post service, laundry service, and room service. Available with extra charge; safe boxes, telephone calls, doctor on call, billiards, mini-golf, laundry service, room service, fax, email, import drinks. 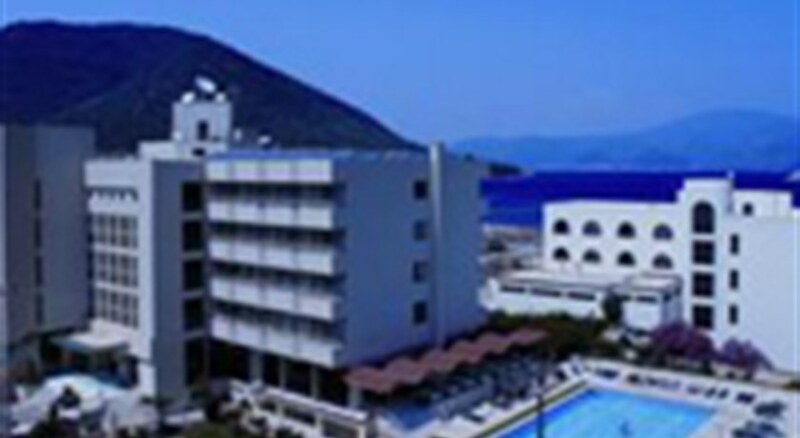 The hotel has 72 delightful guest rooms (64 standard and 8 connecting rooms), simply and comfortably furnished, most have sea view, and all feature ensuite shower & WC, air-conditioning, TV, mini fridge, direct dial telephone, hair dryer, radio and music channels and a lovely balcony with table and chairs.